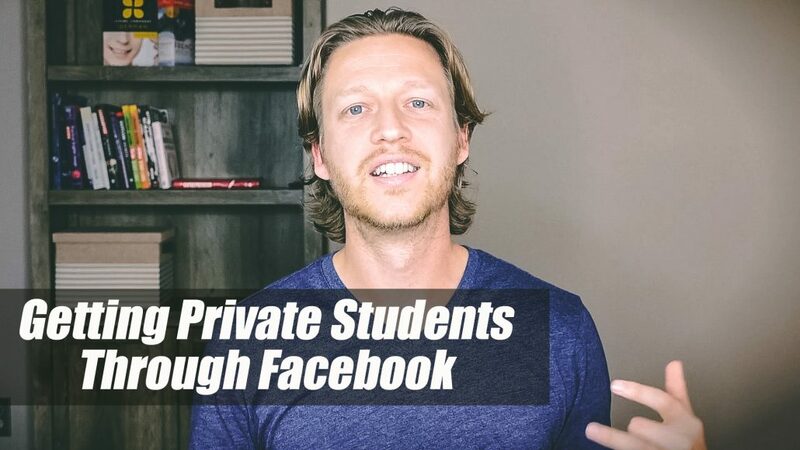 The biggest problem is this: the type of posts that you want your audience to see (offers, trial lessons, new courses) aren’t shown to your audience because they are not engaging posts. Facebook wants to put engaging posts in newsfeeds so people spend more time on Facebook. Creating engaging posts (videos, polls, images) that are engaging is great. More people see your posts. But no one is taking the action you want them to take. … you create an engaging 3-minute video that helps your audience. At the end of the video, you tell people to do something. This could be to sign up for a trial lesson, download your free PDF, or to check out your latest course. You’re giving people content but also telling them what to do next. Be sure to leave a link in the description and in the comments. To make this even more powerful, make the call-to-action relevant to the content. I’ve given away audio phrases related to the video. The conversion rate is much higher when you do this. 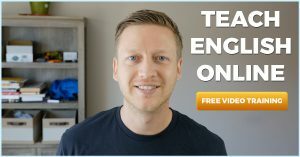 If you are teaching one-to-one lessons, post a video of you teaching and tell people that they can learn with you too. Not your personal messenger, but Messenger for pages. Most teachers shy away from this because it sounds like a lot of work. But you get out what you put in. Even though I have online courses, I spend a lot of time within the Messenger app. I see an actual return on this through course sales but also through people feeling good about me and my brand and sharing what I create with others. Having conversations on a one-to-one basis builds trust with your audience. Quick tip: when someone leaves a comment, click the “send message” option and thank them. People don’t like spending money. When I know that I’m going to get a return on my investment, why wouldn’t I want to advertise? I target learners who have already interacted with my content and send them an offer. This is usually something free that sends learners through my sales funnel. Do you see what I’m doing here? I’m putting the CTA in front of people who have already seen my content. This leads to higher conversion rates. What’s more, I can decide exactly who sees this ad so that I’m not spending money on those who would never pay for what I offer. Give Facebook what it wants but also make the platform work for you. Which of these three tips are you going to implement? Let me know below!